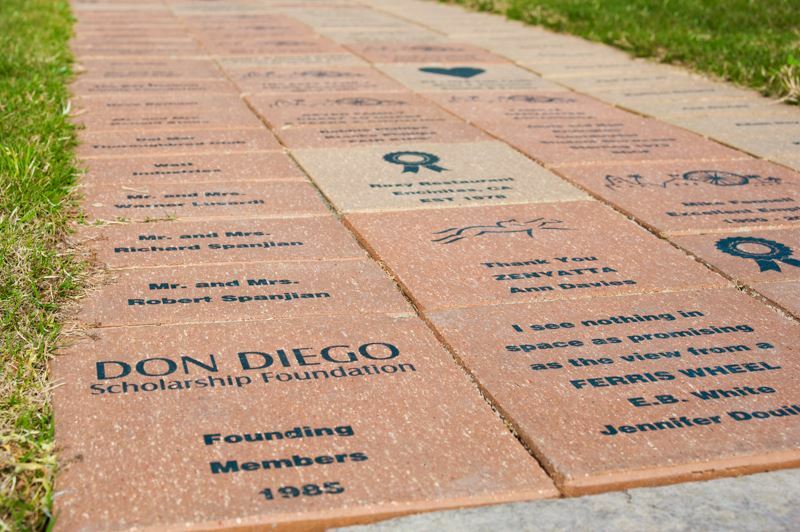 Personalized engraved donor bricks can be installed as pavers in walkways, sidewalks, driveways, roads, plazas and many other horizontal applications. Personalized quarry tiles can be installed on walls or other vertical surfaces in memorials or buildings. Your fundraiser program with us will have no upfront costs whatsoever and there will be no inventory to carry or be leftover. The public nature of these installations often leads to repeat sales and you can keep your fundraiser open with us indefinitely. This long term stream of income will be greatly appreciated by your group! You will be able to sell personalized engraved bricks to your donors for between $40 and $1000. This range is what groups across the country actually have achieved. The price you will ask will depend on you, your group, your application, your community, and how well you market your cause. Your cost for 4x8" personalized bricks will be between $17 and $25 depending on order total so you can see that you will have a very robust profit margin.